Often perceived as a style or a school of thought, Bauhaus was actually an institute for design that has given birth to some of the most significant designers and completely changed the course of the history of design. The principles of form and aesthetic that were founded in the beginning of the 20th century by this innovative school continue to influence the way our world looks and works. Founded in 1919 in Weimar by the prominent architect Walter Gropius, Bauhaus ended up as the most influential modernist art school of the 20th century. Defined as a utopian craft guild combining industrial design, architecture, sculpture and painting into a single creative expression, the school provided an original and influential curriculum consisted of practical skills, crafts, techniques and theoretical knowledge for artists and designers, becoming highly influential for the approaches to education in the arts. Deeply devoted to functionality, Bauhaus school was one of the first that understood art’s relationship to society and technology. The result was a good design that could be mass-produced and available to the ‘common man’. With clean geometric forms, balanced visual composition and enduring materials such as wood, metal and glass, Bauhaus design embodied a futuristic look while still maintaining functionality. The school was closed in 1933 due to political pressures in Germany, but it had a major impact both in Europe and the United States long after the closure and its principles were again widely embraced in the 1960s. 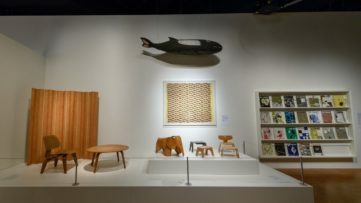 Bauhaus school has produced some of the most significant design pieces that have stood the test of time, influencing generations of designers. 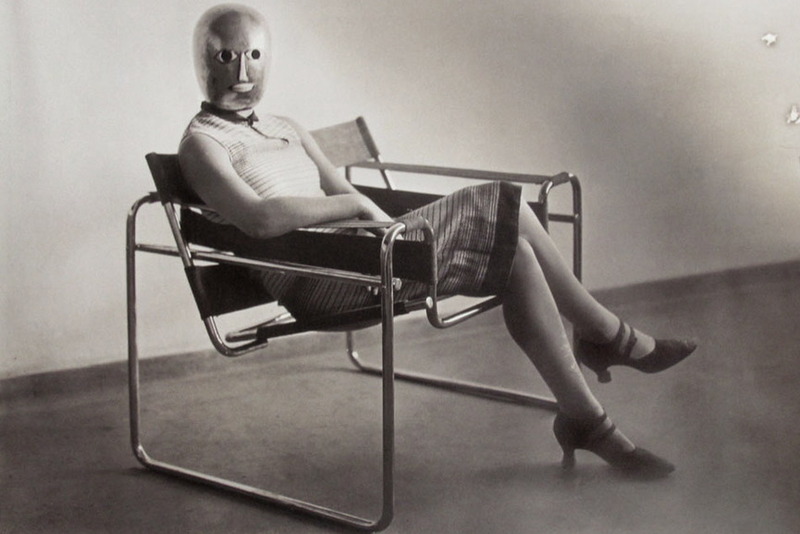 We bring you a list of the most iconic and timeless of Bauhaus design. Bauhaus style has influenced the world of design and architecture greatly. 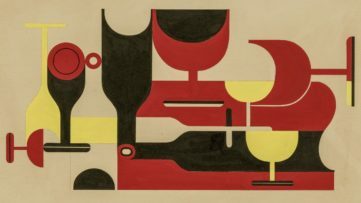 Combining applied art with fine art and technology, Bauhaus movement has outlasted all other trends in architecture and design. This impressive volume explores the historical, cultural, philosophical, political and pedagogical background of the 1930s when the Bauhaus was founded. Presenting famous Bauhaus directors and teacher and their methods, the books provide an insight to individual workshops and the wealth of forms and ideas. This richly illustrated book explores variety of topics regarding this movement as the “fixed star of the avant-garde”, this book offers a comprehensive look at one of the most significant institutions in the history of modern art and culture. 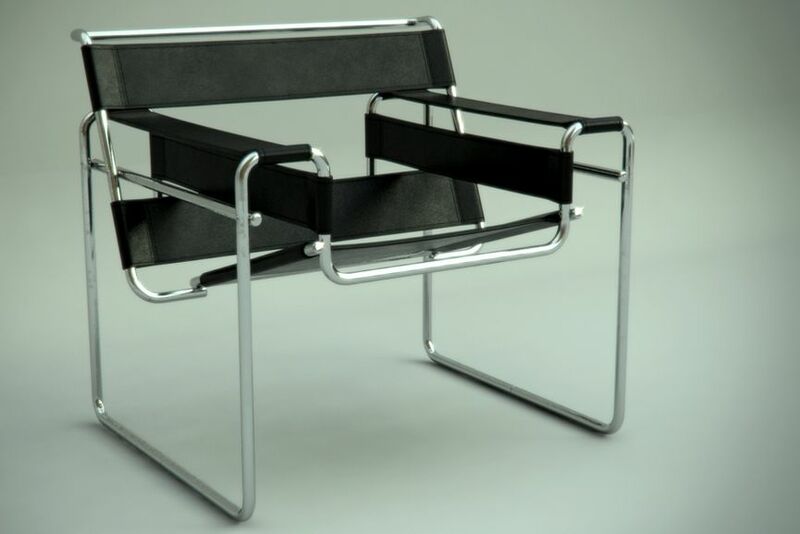 The Wassily Chair is probably the most famous of all the Bauhaus chairs. 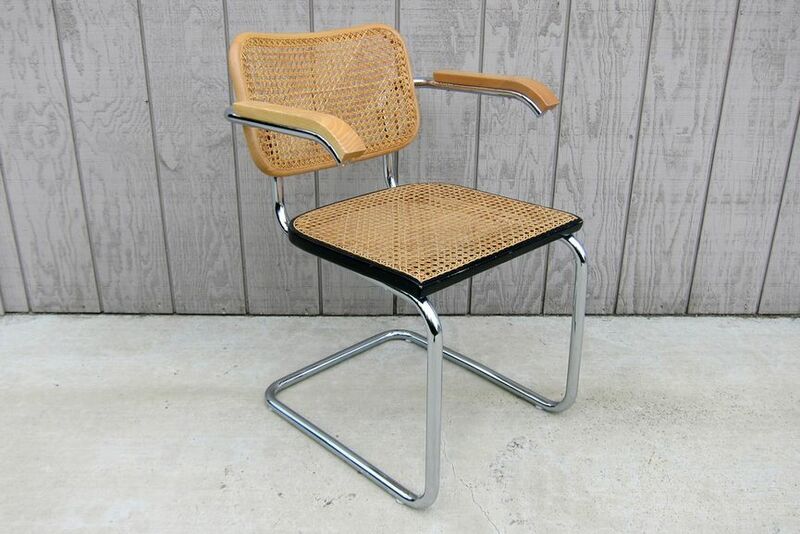 Designed in 1925 by Marcel Breuer, this chair is an excellent example of the groundbreaking developments that Bauhaus brought, such as the sleek and easily comprehensible design and the innovative use of materials. While still being an apprentice at the Bauhaus, Breuer designed this iconic chair inspired by the bicycle frame and influenced by the constructivist theories of the De Stjil movement. With a mix of seamless steel bent tubing and leather, Breuer combined new materials to create the best physical tension endurance and maximum comfort. Additionally, the chair is lightweight, easily moved and easily mass produced. When the design was reissued decades later by the Italian manufacturer, it was mistakenly associated with Wassily Kandinsky and promoted as the Wassily chair. The chair that has changed the world of furniture design forever is still being manufactured today. 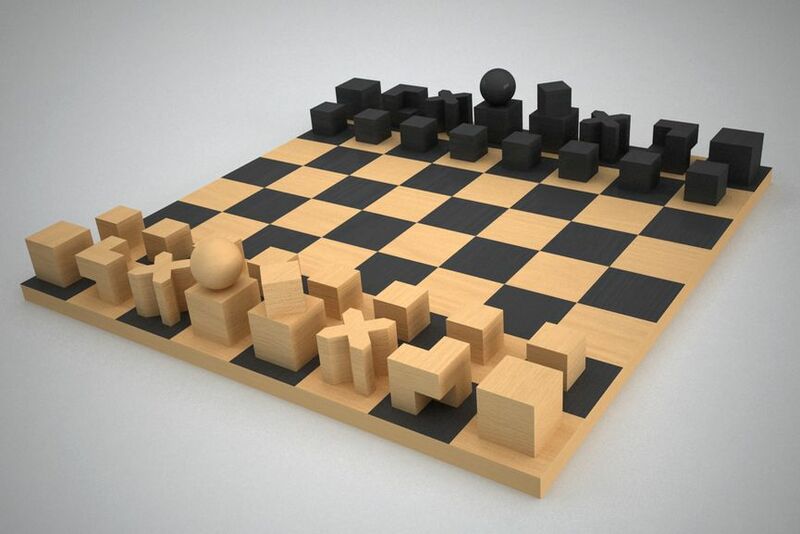 Designed in 1922 by Josef Hartwig, this beautiful chess set is typical of timeless Bauhaus style. With characteristically reduced forms featuring shapes such as cubes, cylinders and balls, the design of each piece indicates the type of its manoeuvre. Despite the similar characteristics of each piece, each has its individual character as well. This set combines the harmony of the visible and technical durability and the quality of the workmanship with the creativity and innovation of the Bauhaus movement. While serving as the artistic director of the furniture workshop at Bauhaus from 1926 to 1927, the painter and the modernist pioneer Josef Albers designed this set of accent tables as the study in modern design. 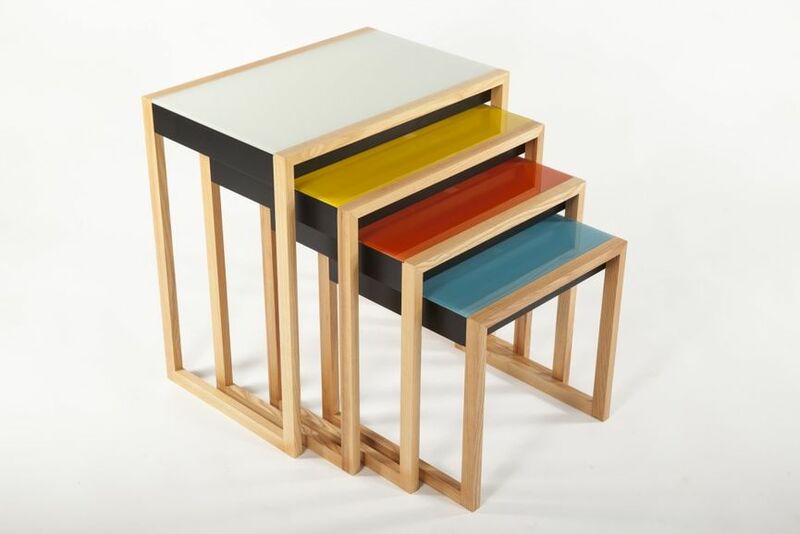 Designed in minimalist style and crafted of solid oak and lacquered acrylic glass, the set is an example of the application of Bauhaus colour principles taught in the preliminary course. 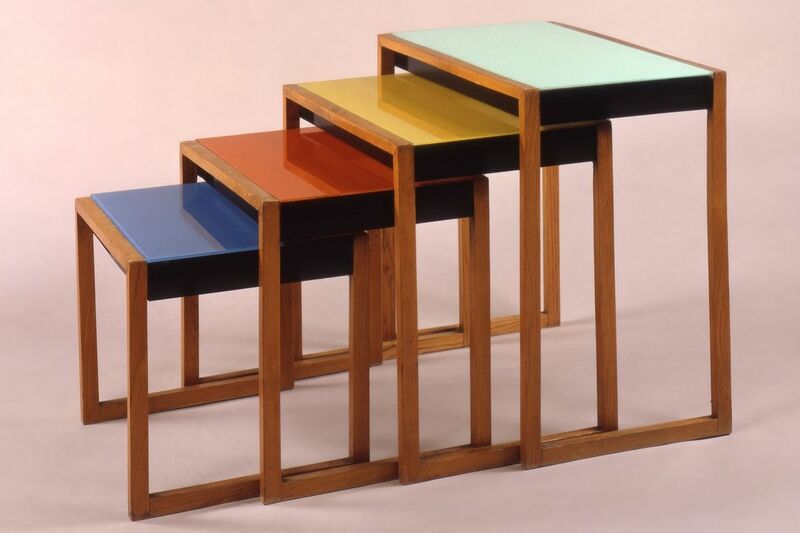 Best known for his geometric paintings and his passion for color, Albers applied the same precision and logic to his furniture and gave each of his nesting tables a different distinctive colour. Exquisite in their simplicity, these tables work independently and interdependently. Be sure to check out more works by Josef Albers! As one of the best-known chairs in the world, the Marcel Breuer’s cantilever chair designed in 1927 is another example of his fondness for tubular steel. The revolutionary in abandoning the traditional construction of a four-legs chair design, Breuer was inspired by previous models made by Heinz Rasch and Ludwig Mies van der Rohe. Even though he was not the originator of the cantilevered chair, his design combining tubular steel construction with wooden frames for the seat and back became his greatest commercial success. The chair first came to the attention of consumers through cheap imitations. When the Italian manufacturer Gavina s.p.a. started producing his designs in 1962, the chair was nicknamed Cesca after Breuer’s adopted daughter Francesca. 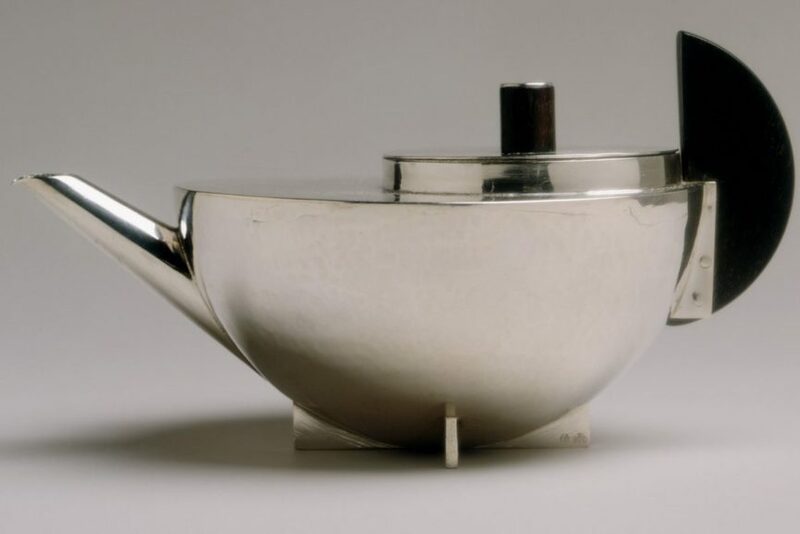 Designed in 1924 by Marianne Brandt, the Tea Infuser is an example of how basic forms can be combined to produce amazing objects for everyday use. With the understanding of fundamental geometric forms lying behind this design, it has a built-in strainer, non-drip spout, and a heat resistant handle made of ebony. As the only woman in the metal workshop, Brandt perfectly applied the school’s principals of combining functionality and aesthetic. The semi-circle handle and silver cylindrical spout are inventive in design but easily reproduced. 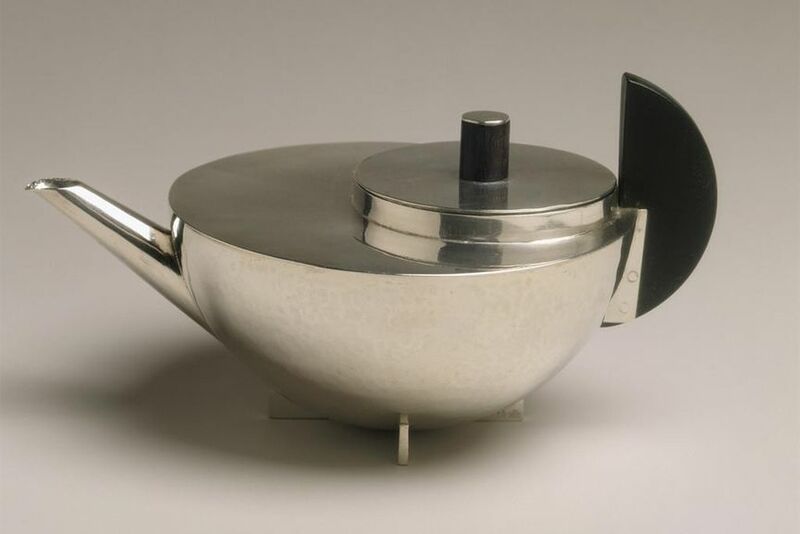 This quintessential Bauhaus object incorporates the usual elements of a teapot, but reinvented as abstract geometric forms. 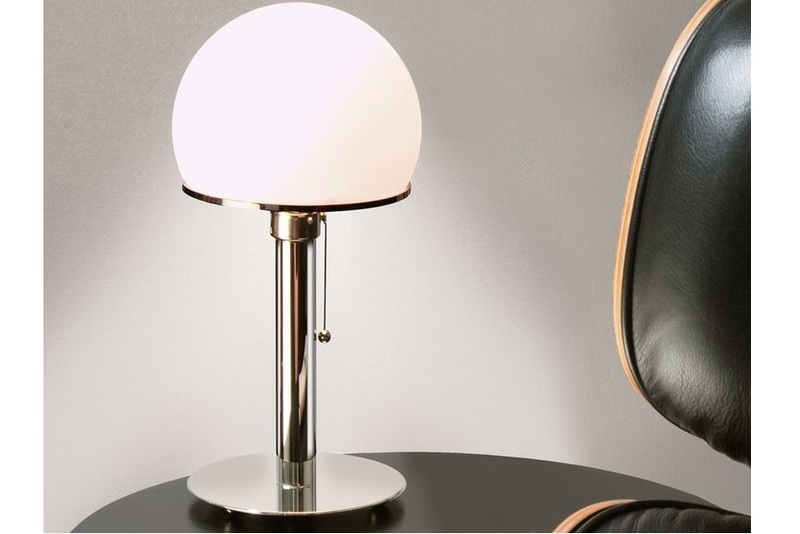 The lamp designed in 1924 by Wilhelm Wagenfeld is probably the most iconic piece of lighting to come out of Bauhaus and it is often called The Bauhaus Lamp. 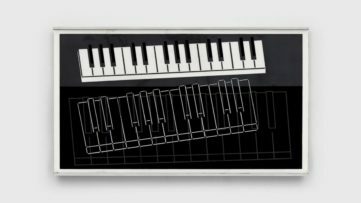 Constructed of precisely cut glass and metal, it is his first commercial product and also among the first objects to emerge under the Bauhaus’s technology-focused regime. The lamp was his solution to an assignment given to him by Moholy-Nagy. Embodying the essential idea that form follows function, the lamp has a simple geometric shape achieving ‘both maximum simplicity and, in terms of time and materials, greatest economy’. This famous opal glass lamp is still in manufacture today and is perceived as an icon of modern industrial design. Designed by the architect and Bauhaus founder Walter Gropius, The Gropius Armchair was used as an armchair in his office at Dessau Bauhaus. First discovered in 1972 by Axel and Werner Bruchhäuser during a visit to the Fagus Factory, The Gropius Armchair has been widely studied and known by architects and designers. Featuring a bold style, the base is designed in ash (black, white or natural stained) or solid walnut or oak, while the seat is designed in fabric or leather of different colours. It is still being manufactured today. 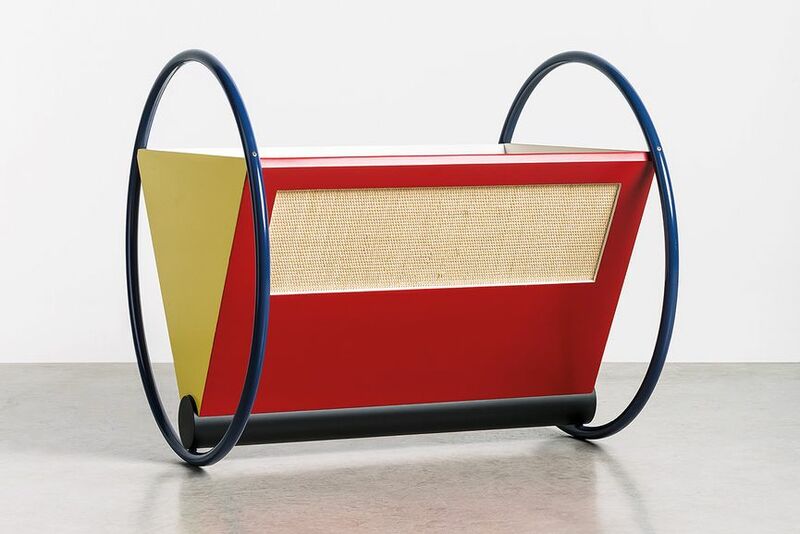 The Bauhaus Cradle was designed in the early days of the German design school by Peter Keler according to the preliminary course of Wassily Kandinsky. 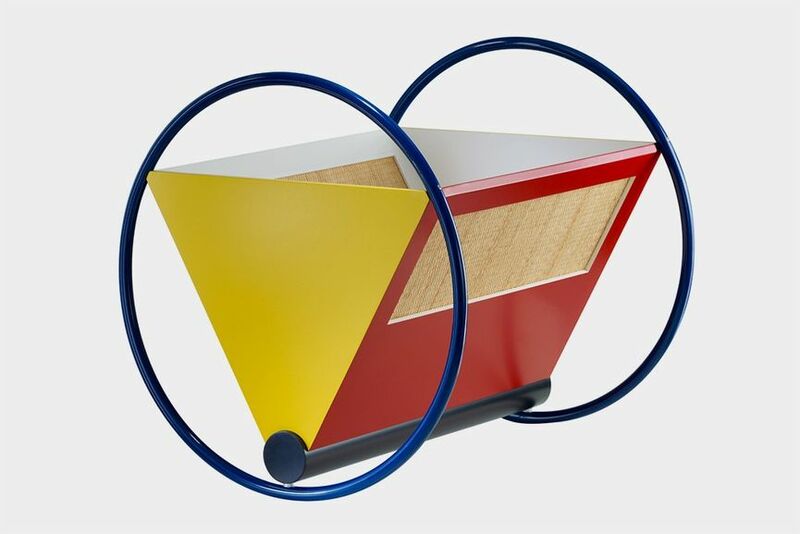 The simplicity of this cradle and the regard to the form and colours used, adds to the inherent playfulness of the design. 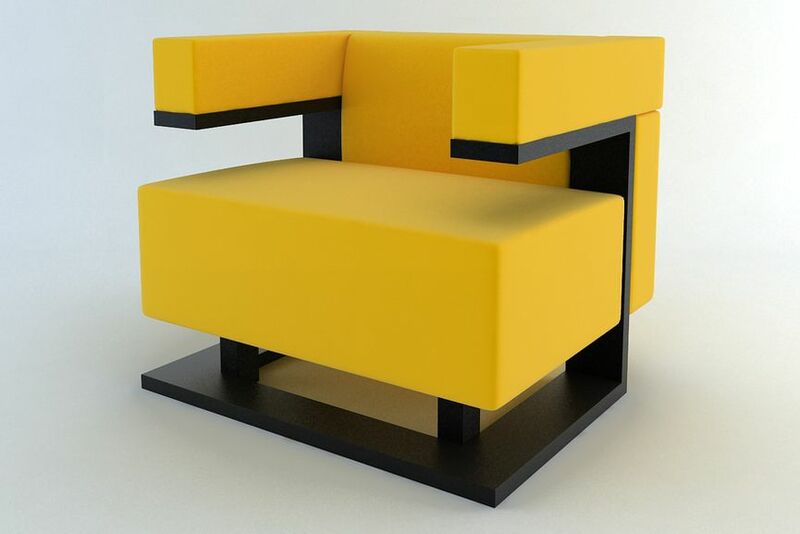 This design is a typical example of the Bauhaus period between 1922 and 1924 when their furniture embodied the colourful geometry shapes. In terms of its colour scheme, it can be perceived as a three-dimensional interpretation of Kandinsky’s relationship between colour and form. This design is an articulation of the Bauhaus transition where artistic forms and colour schemes should be seen as a unified whole. 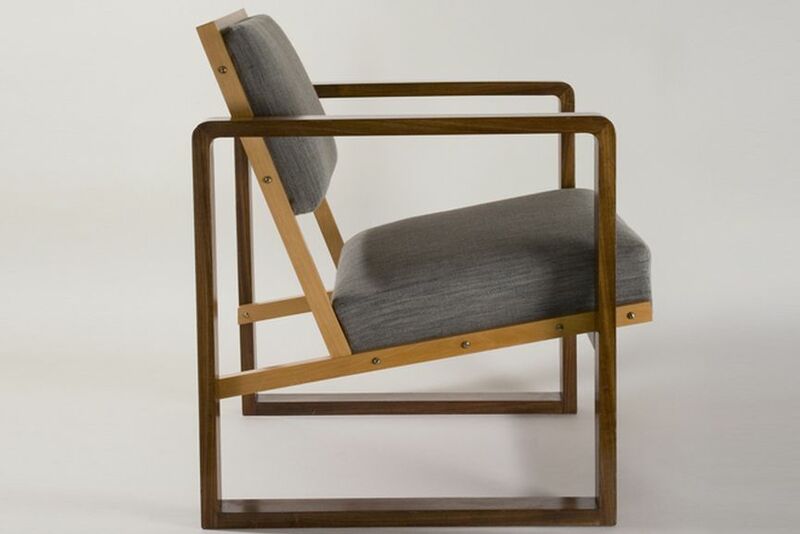 The Club Chair was designed by Josef Albers in 1928, the year he was made the director of the Bauhaus furniture workshop following the departure of Marcel Breuer. It was originally designed for the house of Hans Ludwig and Marguerite Oeser in Berlin. It was made in mahogany veneer, beech wood, maple with flat cushions. Ths chair has influenced generations of designers to follow. Designed by Ludwig van der Rohe and Lilly Reich, the Barcelona chair was initially created for the German Pavillion at the International Exposition of 1929 in Barcelona. The frame of this iconic piece was initially designed to be bolted together, but it was later redesigned to feature a seamless piece of metal. Although the majority of the Bauhaus pieces were created for the ‘common man’, the Barcelona chair was designed for the Spanish Royalty. The form of the chair was inspired by Roman folding chairs known as Curule chair. 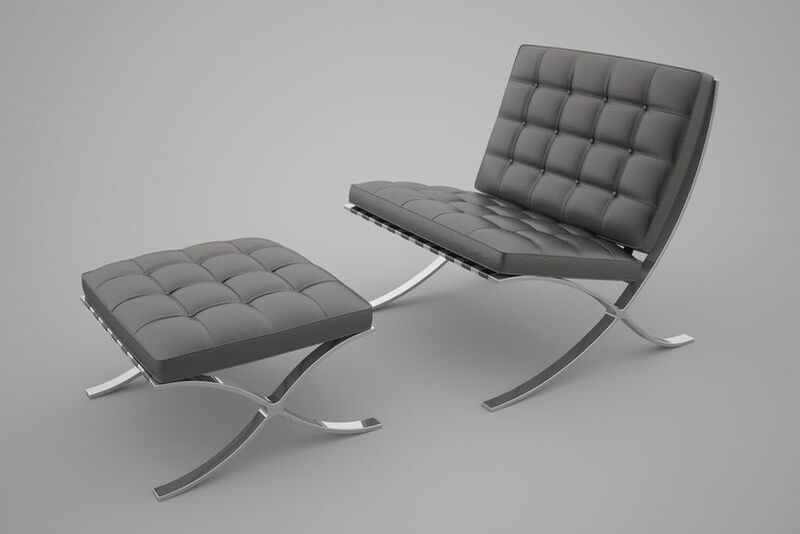 The chair is still being produced today in different steel configurations and different colours.